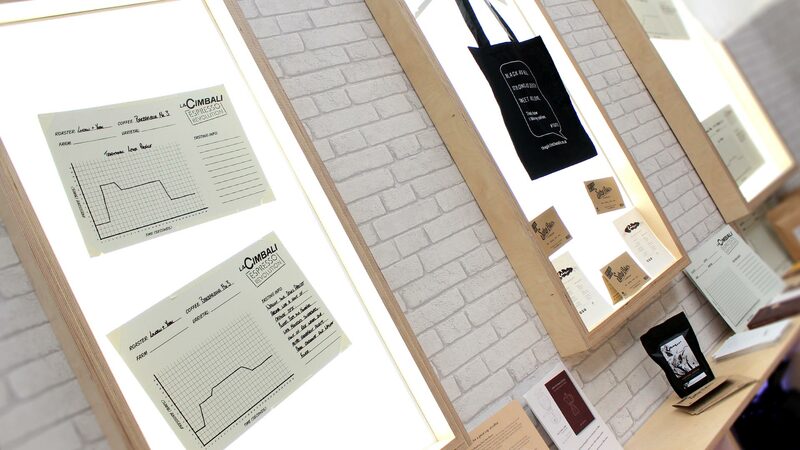 The Liqui exhibition stand design for La Cimbali came about as a direct result of our experience within the coffee industry. 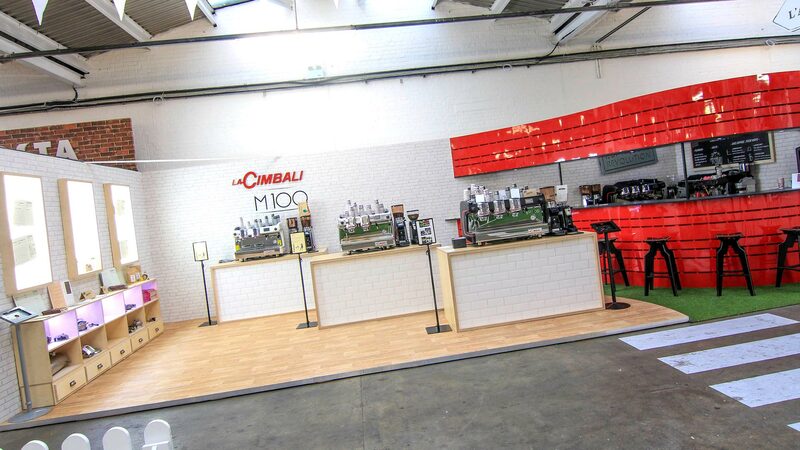 We were asked to be the principal design consultancy for Piano Works – designing and building the La Cimbali trade stand for the London Coffee Festival. 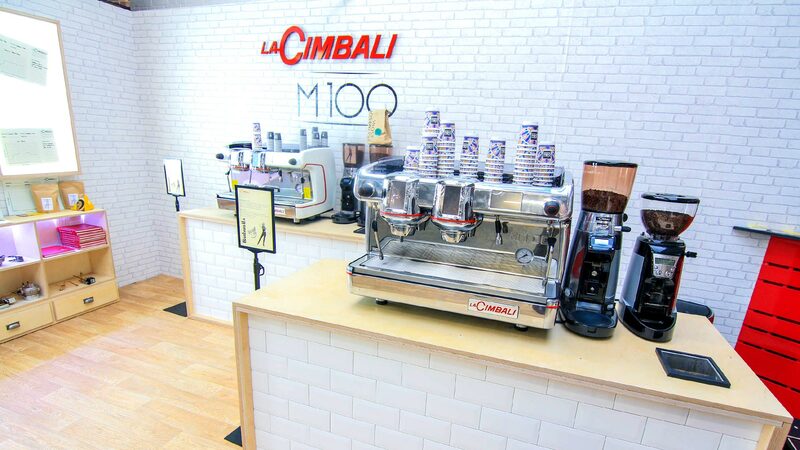 From the offset, the stand was developed to be bold and stand out – to showcase the La Cimbali coffee machines in the best possible way and to create an impression that would entice visitors to explore La Cimblai’s products. 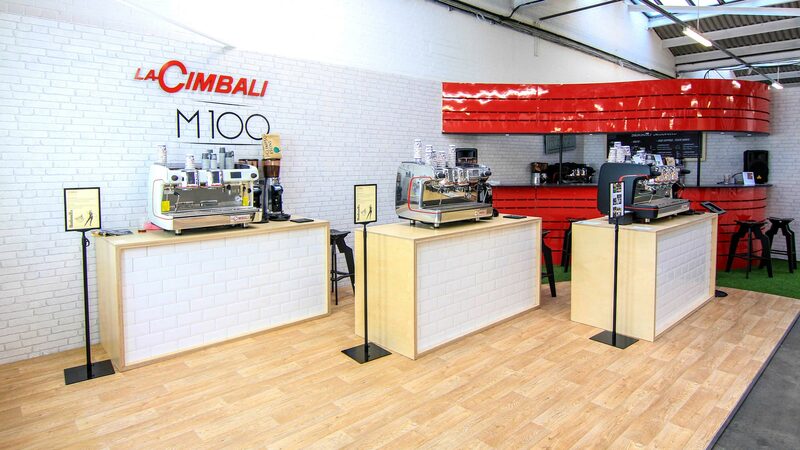 The striking gloss red bar and canopy was inspired by the architecture of the Mumac Museum set within the headquarters of La Cimbali. 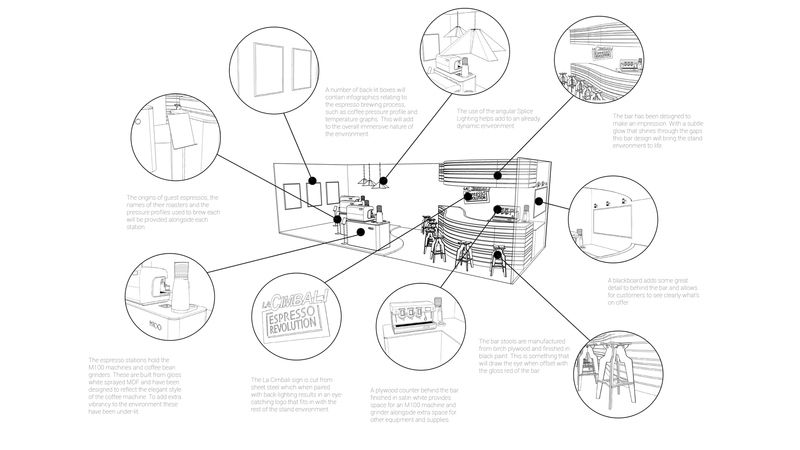 This bold architectural form creates a unique environment that, combined with the Astroturf raised wooden flooring and the three imposing tiled front Birch Ply plinths, creates a stand that is unlike any other. 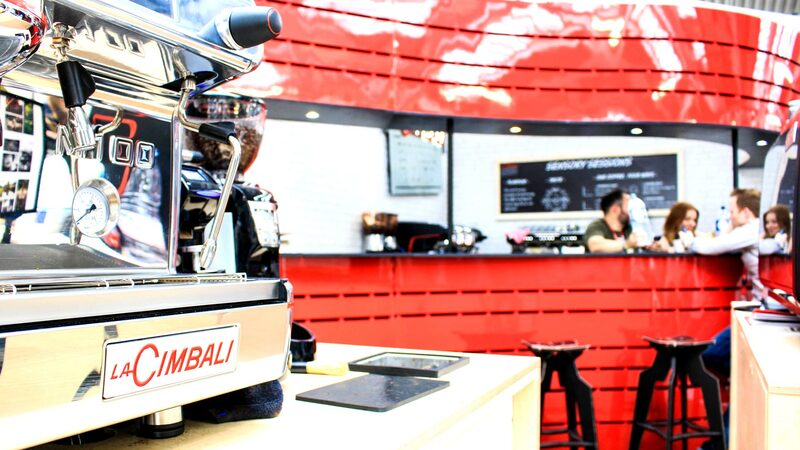 "Designed to create a strong presence"
Liqui designed the stand in two zones – the coffee bar area and the pressure profile tasting area. The raised floor showed the differentiation between these two zones. 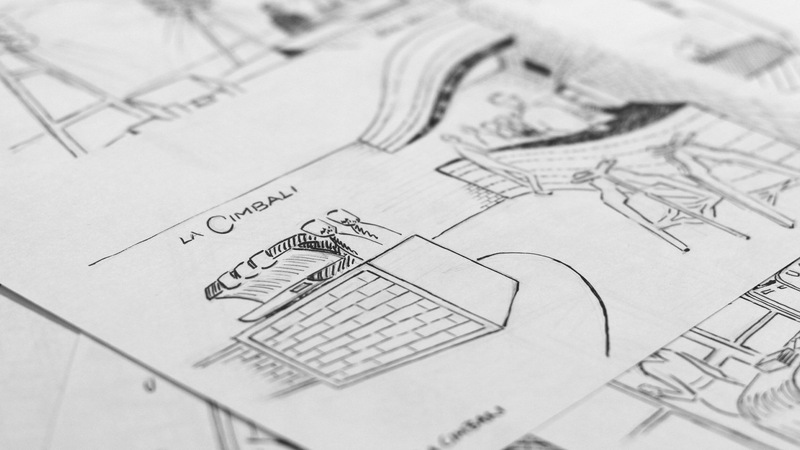 There is a perfect balance between the two – ensuring the bar is the main attraction point; with its rich and bold colours set against the subtle colouring used in the tasting area. 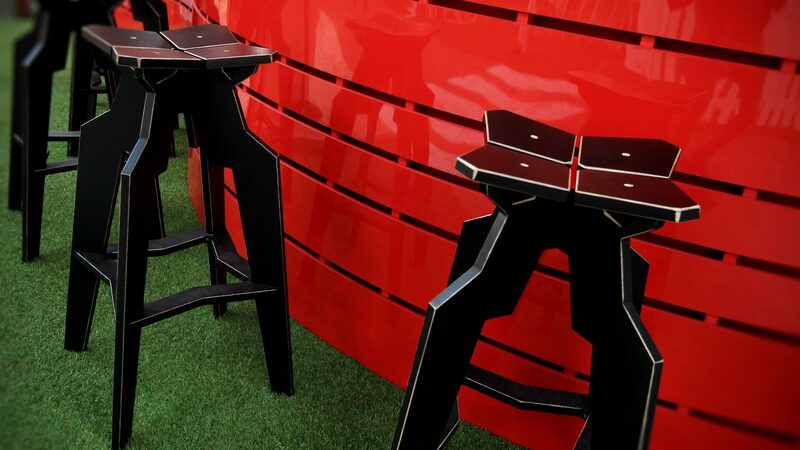 This, combined with details like Liqui’s very own hand-made Splice Bar Stools, helped ensure that the stand was full of visitors at all times.